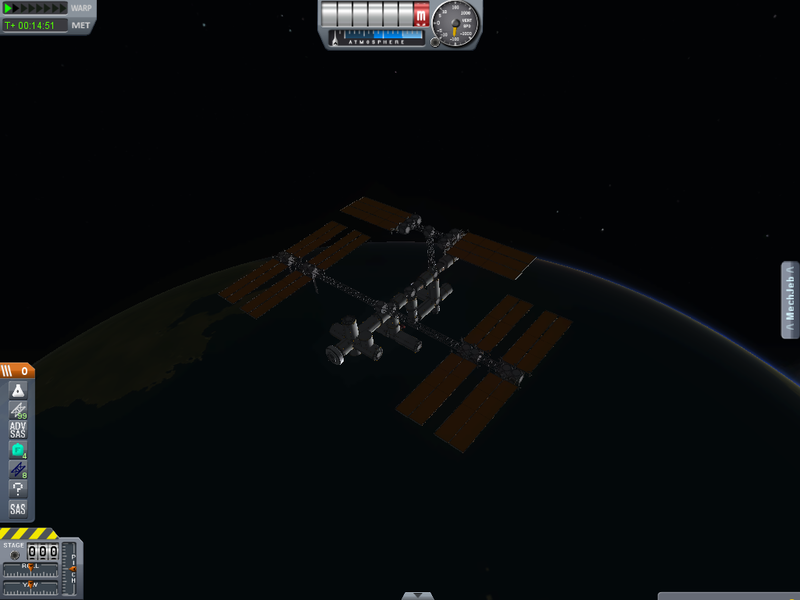 I'm interested into what you guys have come up for your space station designs. Go ahead and post your awesome creation here! 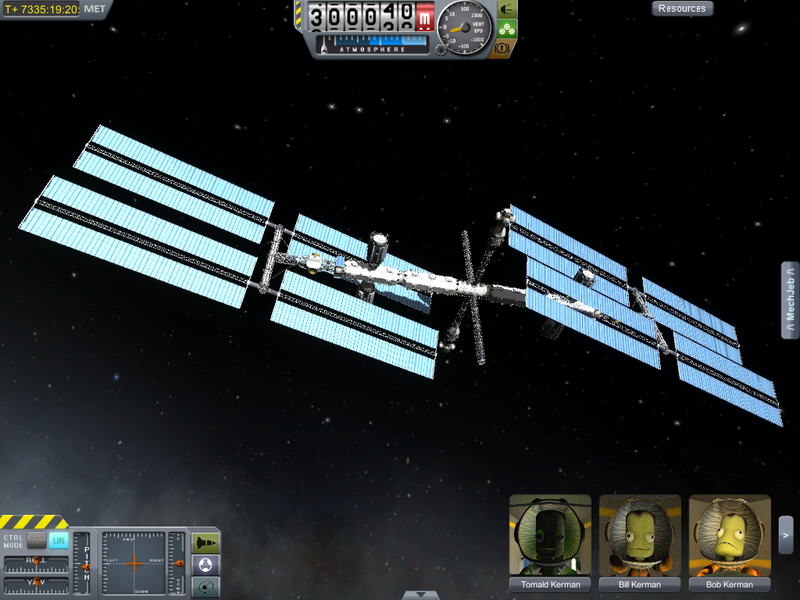 I have had a Space Station before, it was called Polaris. I guess I will start trying too. Oh my lord! I must have this,quick post a craft file! 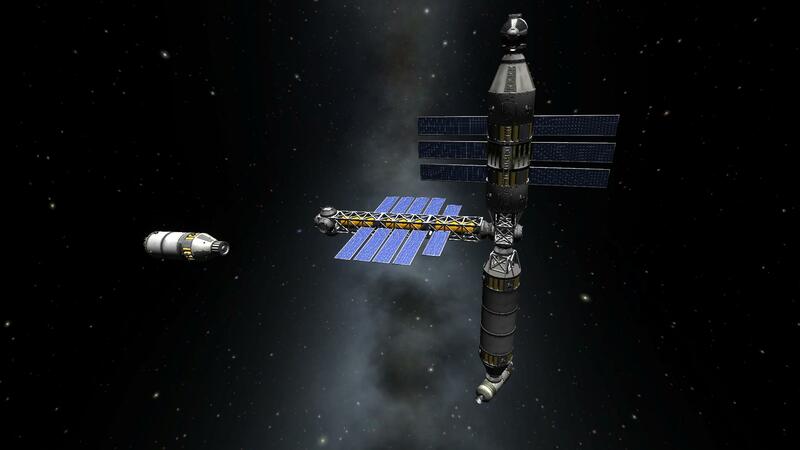 This International Space Station replica is the product of the Large Starships Facility! Can we also post the craft files? I just finished this up the other day. 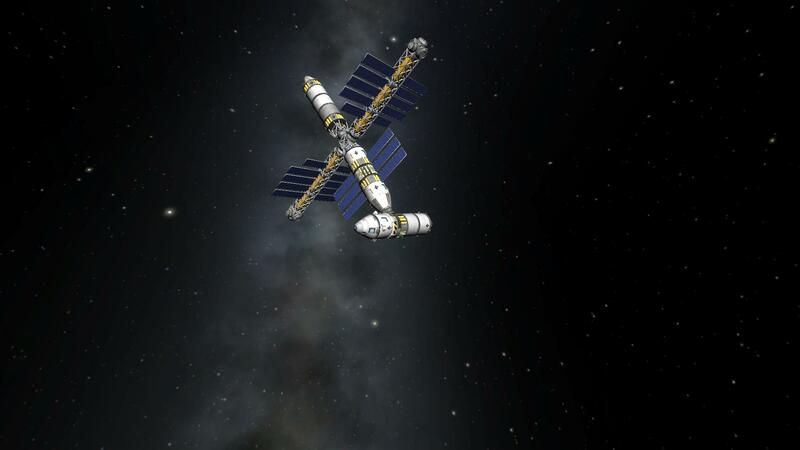 Moved on to building a new Lifter system to push pieces similar to this into GeoSynch Orbit and build a larger station =). No fancy name for it yet, just kinda refer to it as the Spine. 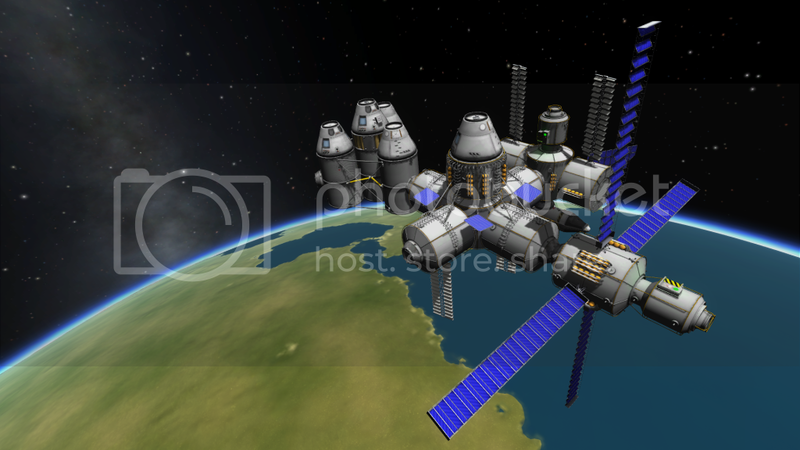 Still building and testing stuff I want it to serve as a fueling station for. 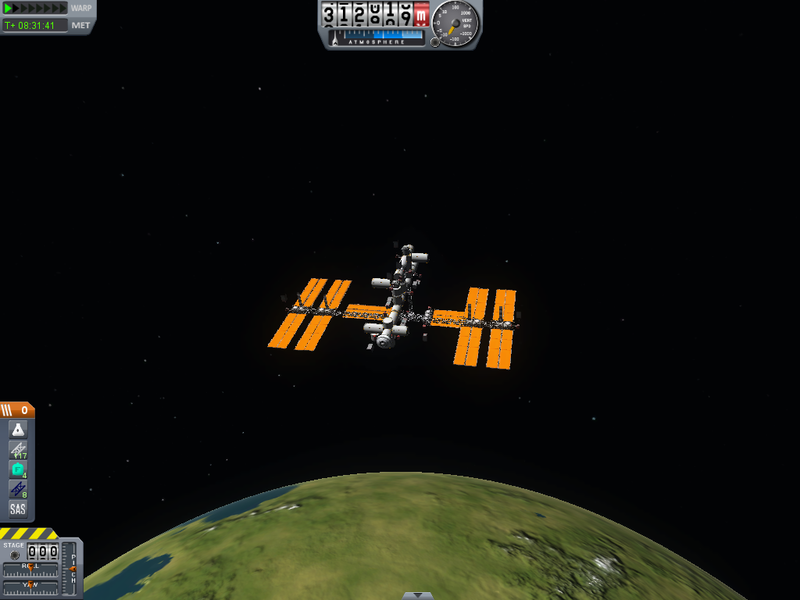 The big orange tanks are full, and the nukes on them are there for efficient deorbit for when I'm done with them. 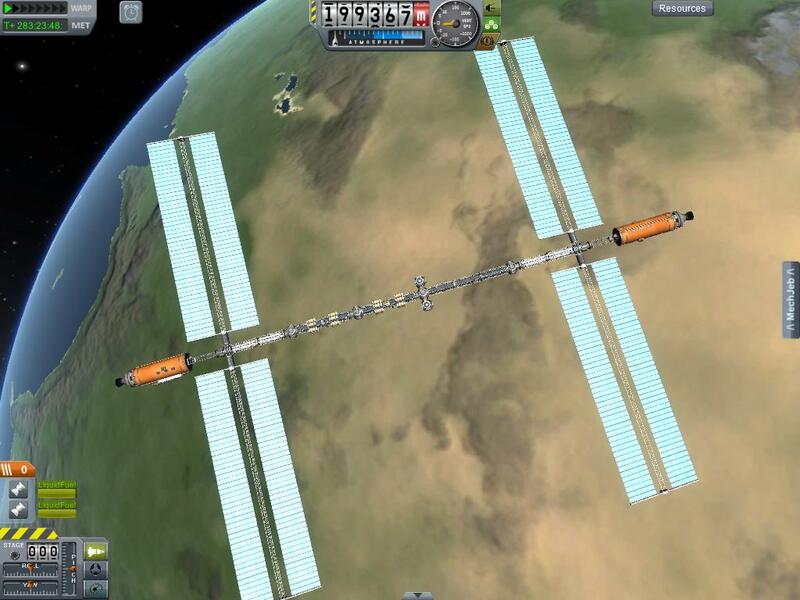 It's just as easy to launch a whole new tank and dock it up as it is to dock and transfer, so they've got probe cores and such get them out of orbit. Pondering modules I'd like to put up on it for now. 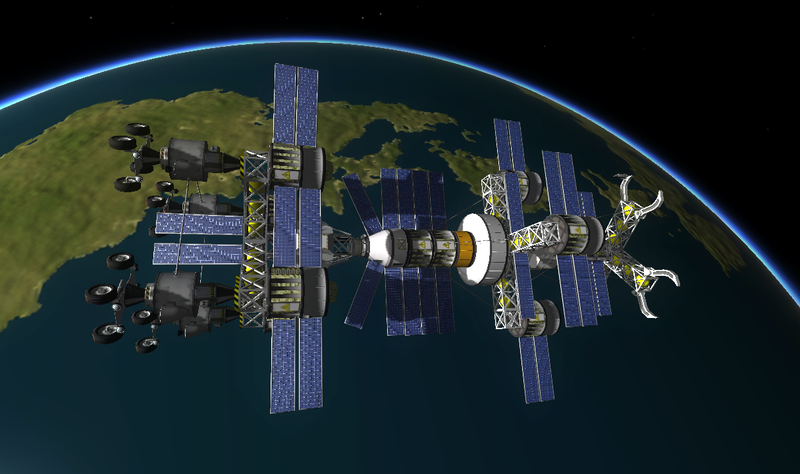 HMS Sinclair, my current main Kerbin station. Slightly less laggy than usual.